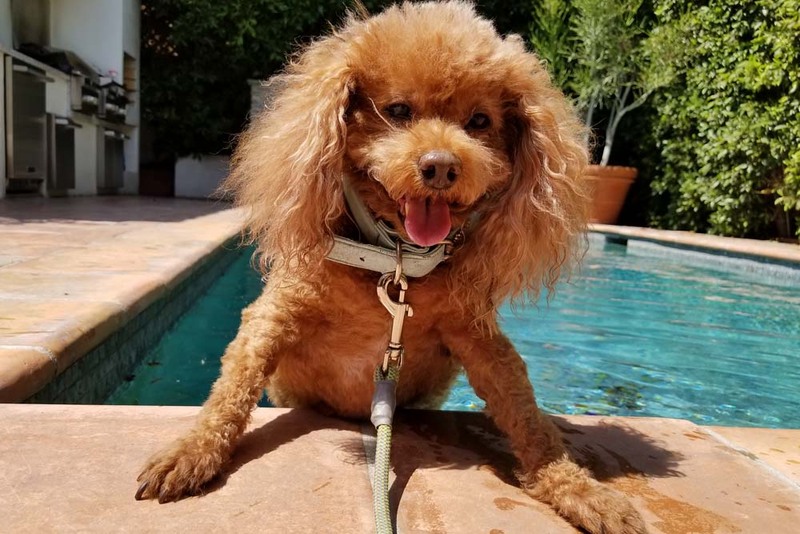 Lucky Dog L.A. is a dog walking service for full time clients in West Hollywood, Melrose District, Hancock Park and Beverly Hills. Winston just melts when Farley picks him up and carries him around like a baby. Lucky Dog LA...IT DOES NOT GET ANY BETTER THAN THIS FOLKS! This is the best dog walking service in town. I feel my dog is handled with complete care and professionalism. Lisa goes above and beyond when walking Rocco and is always sure to send me pictures as well as make suggestions if something is needed. I would recommend this service to anyone. One of the best dog walking experiences. 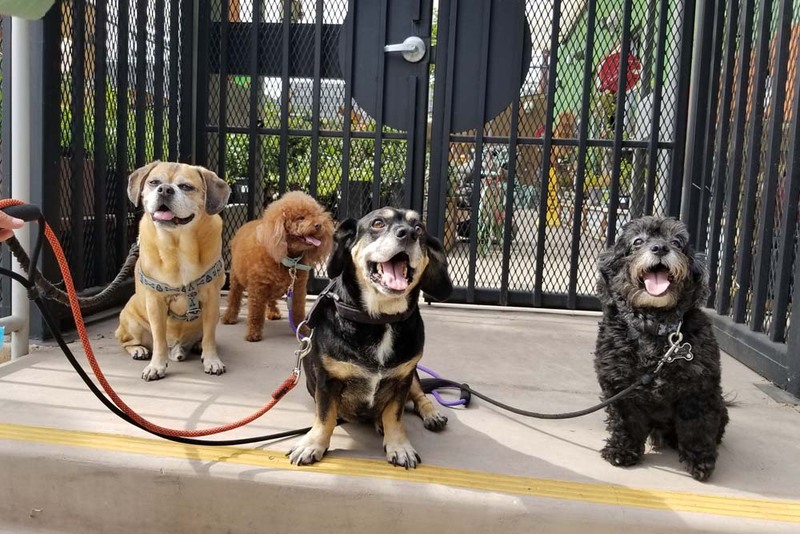 When we moved from New York to Los Angeles, we never thought we would find a dog walker that my three dogs would love as much as the one we had in NYC. In December of 2014 I was on the hunt for a reliable dog walker that both my dogs and myself felt comfortable with. 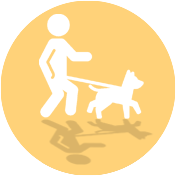 After one bad experience, I landed on Lucky Dog Walking Services and they’ve been taking care of my dogs ever since. Lisa and Farley have been great and very reliable. They send my photos & updates while I am at work, which gives me a great deal of peace of mind. My black Lab recently went through a serious health issue and I reached out to Lisa for a vet recommendation. 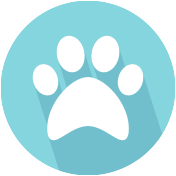 I had already visited two vets and was given to different diagnosis. Lisa came thru yet again with a stellar vet recommendation and my dog is on the mend and doing well. 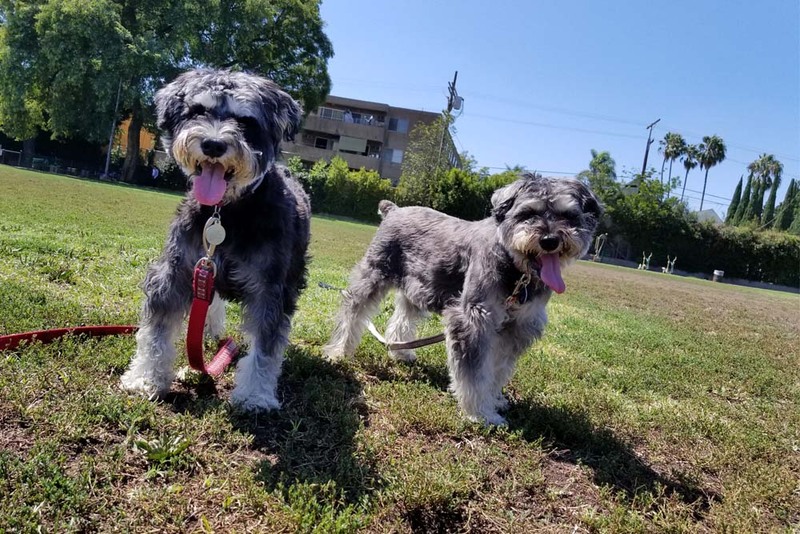 Our dogs are the most important part of our lives and we wouldn’t trust them with anyone other than Lisa and Farley - Lucky Dog Walking Services. We have had Farley (and Lisa) house/dog sit for us for over 3 years while when are out of town. They have stayed with our dog for 3-14 nights. Our dog just loves both of them. They send us pictures and texts to let us know how things are going which is most reassuring to us. 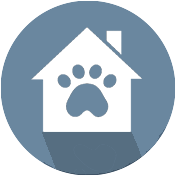 We are comfortable with having them take care of our house and our sweet dog. She just loves them and it is clear that they truly enjoy being with her. I am a person that cannot relax and plan a trip for work or pleasure without worrying about my dog. These guys put your mind at ease with their professional care and top notch service. 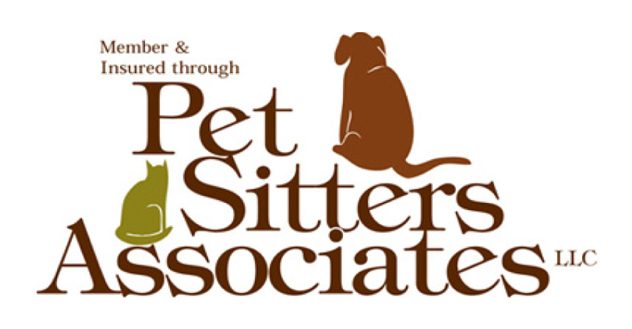 I would recommend their services to any pet owner. Farley and Lisa are the best! They are always on time and my dog goes crazy with a huge smile each time they come to take him for a walk. If you don't like these guys I will pay for the first visit. Truly heaven sent. I've had Lisa and Farley help me out for several years now as a pet sitting/vacation service and I LOVE them! I have one indoor cat (not very friendly) and several outdoor cats. Best dog walkers EVER! The daily photos of my super cuckoo dogs are the best photos anybody has ever taken of my dogs. It brings me so much joy to get those photo from LuckyDog. I know my dogs are so in love with the staff at LuckyDog because they get so excited when they arrive to walk them. My dogs are happier and way more serene after they hangout with LuckyDog. Highly recommend. the best. put "super" before every word: kind, loving, knowledgeable, reliable, trustworthy. pups love lisa and farley. pups know! if they have a spot available for you, hire them! you will thank yourself, and your pup will thank you. my pup is so SO happy with them, and she's even calmer (my pup, that is--Lisa was awesome to start with;-))!!! I had a lousy experience with my last dog sitter and called upon friends for a referral. They sent Lisa over for a meet and greet. Five minutes later and I KNEW that I had found my forever dog sitter. In the dictionary under that title "kindest human on the planet" resides Lisa's photograph! Not kidding. She absolutely LOVES animals and they LOVE her. I have four dogs and they adore her. I trust my dogs (and frogs) with Lisa 100%! Farley is absolutely incredible too. My old blind dog Winston and Farley have a bromance! Winston just melts when Farley picks him up and carries him around like a baby. Lucky Dog LA...IT DOES NOT GET ANY BETTER THAN THIS FOLKS!